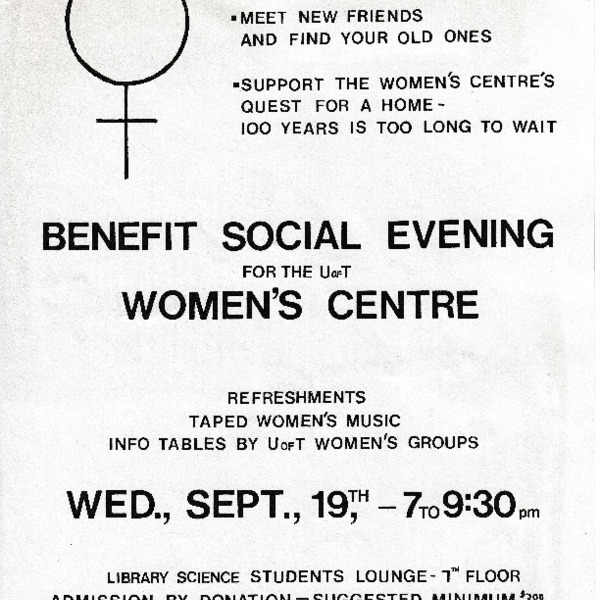 U of T Women's Centre, “Benefit Social Evening for the U of T Women's Centre,” Alternative Toronto, accessed April 24, 2019, https://www.alternativetoronto.ca/archive/items/show/554. Photo by Avard Woolaver, "Toronto Wall" 1980, from the series Toronto Days. Hosted by Koumbit.org: For freedom and solidarity online.